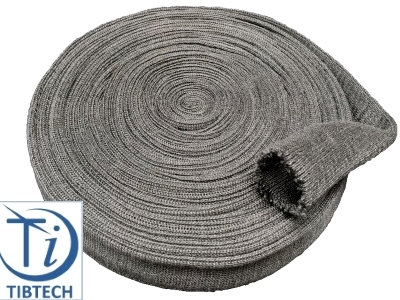 The Thermotech yarns are heating metallic yarns with various conductivities: Manufactured from special stainless steel alloys micro-filaments. 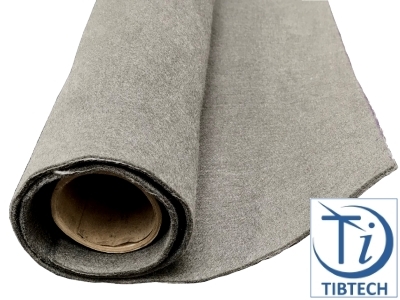 High fatigue and washing resistance and great flexibility. Constant conductivity with or without mechanical stress. 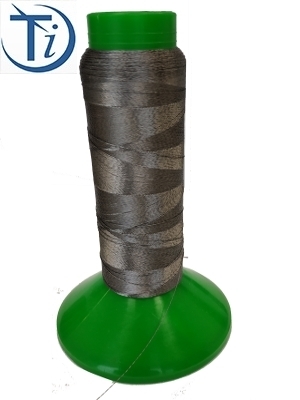 Very good flexibility which makes small bending radius possible within textiles or composite parts. High temperature resistant: up to 600°C, or even more when they are protected from oxidation (neutral environment). 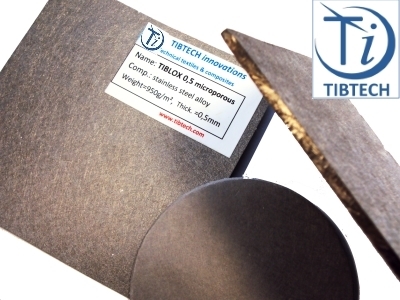 Outstanding performances for RFID applications, with a very good resistance to industrial washings. Suitable for cutting Polystyrene or other thermoplastic materials. Great resistance to sweat, oxidation, salty water and industrial washing. 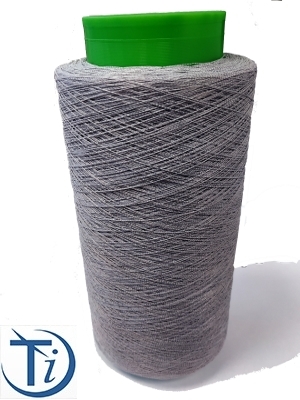 They remain conductive on surface and allow cross conductivity in cas of yarns crossing in weaving, knitting or embroidery. 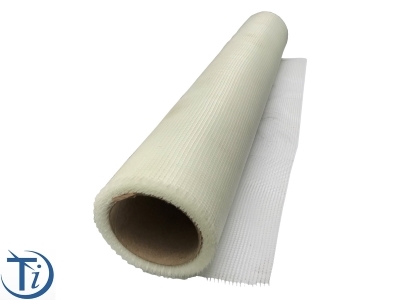 Protected by a thin protecting wrapping to facilitate subsequent textile transformation processes. High mechanical and thermal fatigue withstanding. A good elongation at break associated to high electrical conductivity leads to an easy use in most of textiles transformation processes. 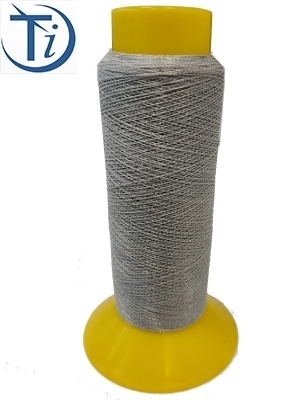 Can also be easily used in knitting, weaving or braiding, to knit or weave conductive , antistatic or EMS shielding fabrics. Note: for demanding E.M. Shielding applications, multi-layers or 3D technologies can dissipate further the energy of the input signal. Avoid whitening and oxidizing washing agents. 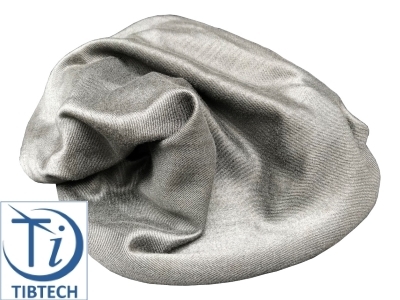 Silverpam superstretch :New silverpam version associating high stretch and very good conductivity: up to sixty percent of elongation and only 120 ohms per meter in stretched form! 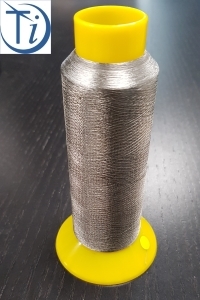 Remark: SILVERPAM conductive threads family can often be used with embroidery machines as ZSK or TAJIMA by example for SMART textiles applications.